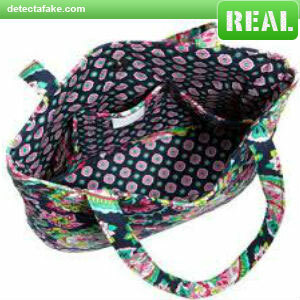 Vera Bradley is one of the top selling bags made today. They are high quality and durable. They are made of quilted fabric and have many different patterns to choose from. 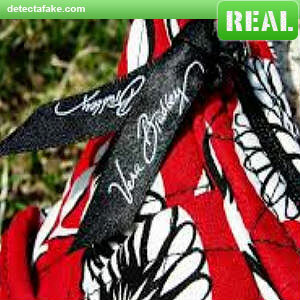 Here are the steps to help you spot a fake bag. Vera Bradley have a tag with the Vera Bradley logo on the front. The tag has the style of bag, the bag pattern, Item number and the Retail price. It is attached with a green string. There are many different patterns that Vera Bradley has made. Go to www.verabradley.com and look at there current and retired colors. 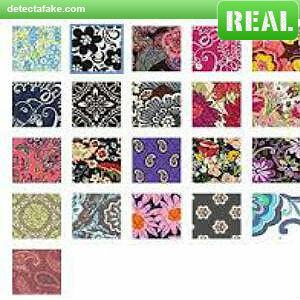 If you can not find the pattern of your bag then it is a fake. 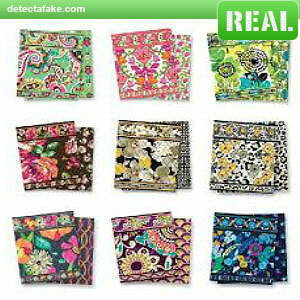 The real Vera Bradley bags are a lot softer fabric than the fake bags. Make sure the fabric is really quilted and not just a printed design. 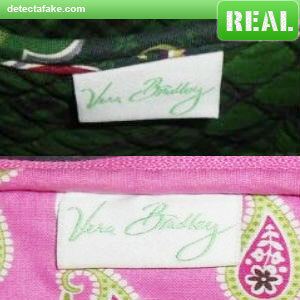 The zipper pulls on the newer bags are usually made of ribbon with the Vera Bradley Logo. The Older Vera Bradley bags will have Fabric Pulls that will usually match the lining fabric. 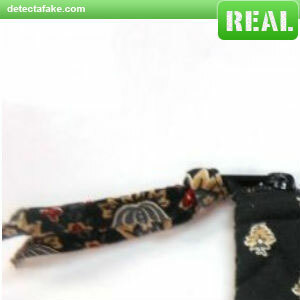 Fake Vera Bradley bags will not have either of this Zipper Pulls. Vera Bradley bags always has a pattern Lining. 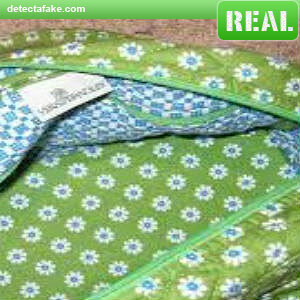 If your bag has a solid color lining then it is fake. Check on the website to see the current and retired colors so you can see what the lining pattern should be for your bag pattern. 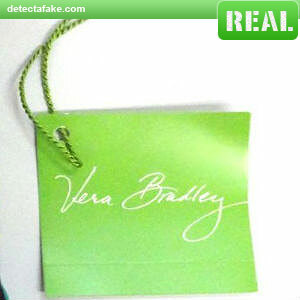 Vera Bradley Bags and Accessories all have a Vera Bradley Logo Label sewn on the inside of the item. 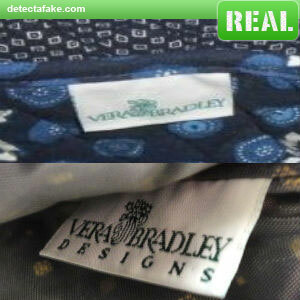 Here are a few of the label that Vera Bradley have used few the years. 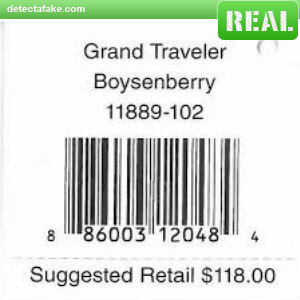 If you do not see one of these labels in your item, then it is fake.